On Saturday, I attended the July monthly meeting of my homebrew club, Austin Zealots. It was held at Adelbert’s Brewery in Austin, TX, a Belgian-style brewery about 15 minutes north of downtown Austin. The style for this month was meads, and many members brought their very best, including a fantastic vanilla-cardamom and well-aged pineapple-coconut mead. Also, I sampled many tasty beers, including some perfect Witbiers, 100% wheat pale ale, and 5-year old smoked porter! Also, I received some good feedback and a few rave reviews on my Session Helles. At 4.1% ABV, many members thought it was light but flavorful German-style lager, great for 90+ F summertime weather. In addition, a famous Zealot, Chris Colby, made an appearance. It was good to see him again, and nice to have a technical, yet entertaining discussion on pitch rates. 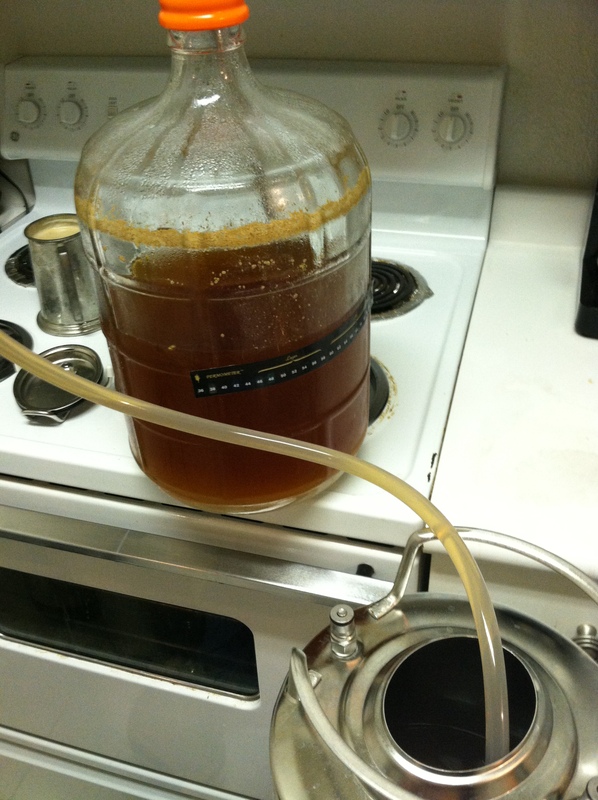 This week, I got around to kegging my Fall 2014 German lagers. After lots of cleaning and sanitization, I was able to package an Oktoberfest, Helles Bock, and Schwarzbier in one (very) long evening. Initial hydrometer samples were quite nice and well fermented but should become great once lagered, just in time for early September. Lastly, tomorrow I’ll be busy in my apartment brewery, brewing a SMaSH blonde ale made of Czech floor-malted pilsner malt, Hersbrucker hops and California lager yeast. I’m excited to try all these ingredients out, as I’ve never used them before in a recipe. Also, I intend to turn this batch around fairly quickly as I plan to serve it at the Zealot’s summer picnic in mid-August. I think this beer will have plenty of character for inquisitive paletes yet nice and refreshing for a hot day.